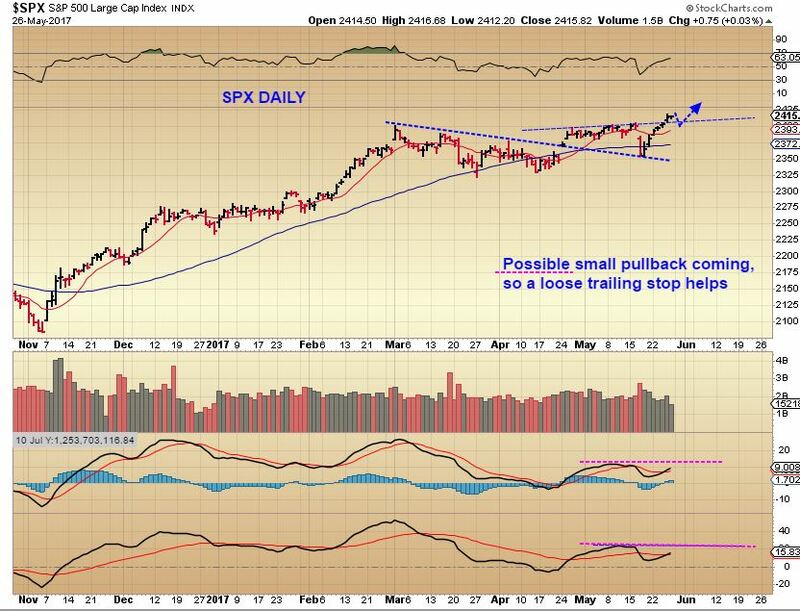 SPX - This is from our Friday morning report. A week ago I mentioned that it seems that the slam down may have cleared the deck of sellers and put in a dcl. We still have had all right translated daily cycles in this run. Please read the chart. 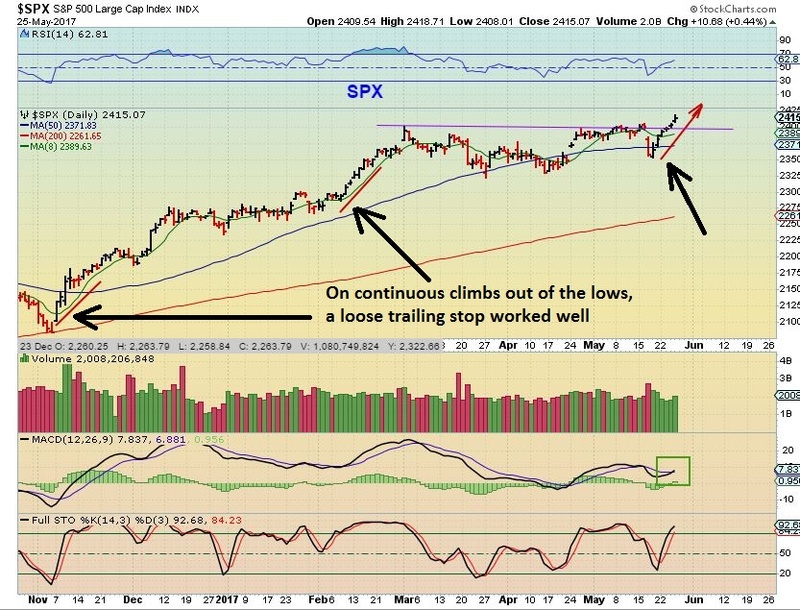 SPX - We could get shallow pull backs at anytime, but a loose trailing stop can keep someone that is 'long' in position. 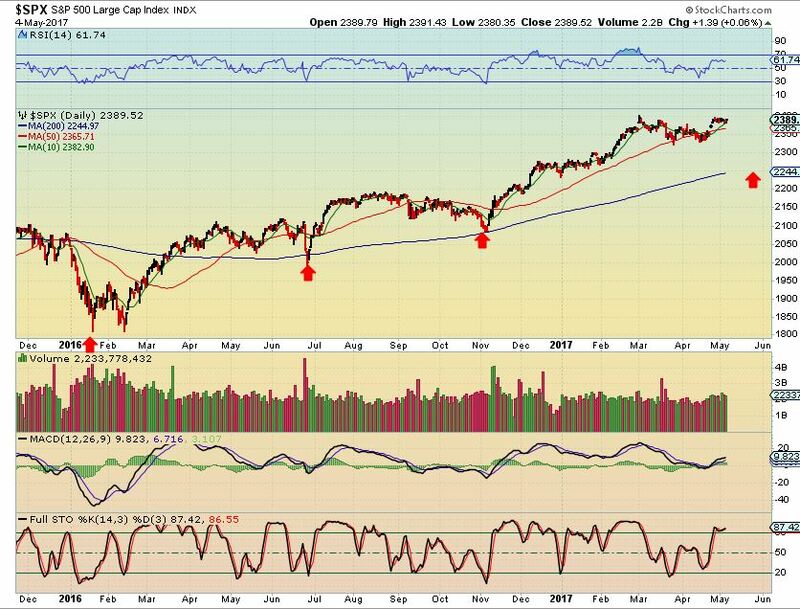 A hard stop could also be placed under the 50sma, since that shouldn't be broken again for a while. This is now a 3 month consolidation and a break out. Friday, the last trading day of the week. 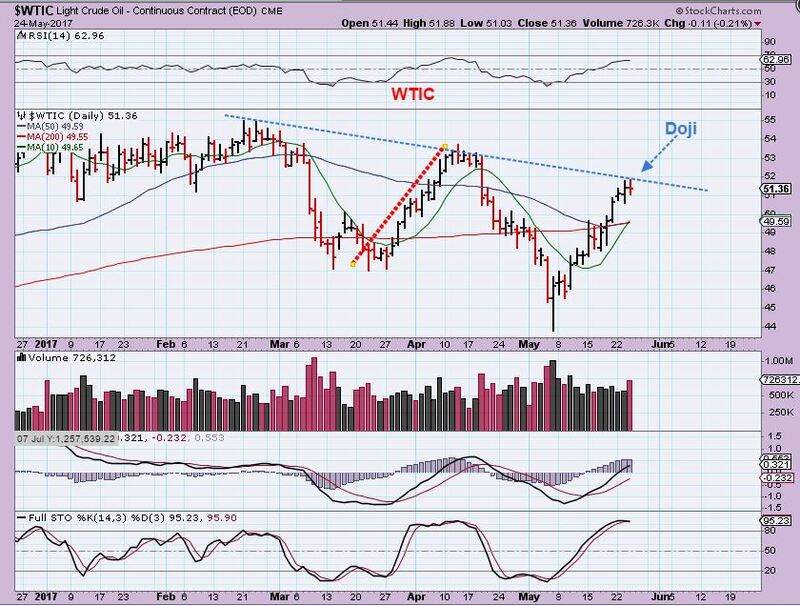 WTIC - This Doji was pointed out yesterday as a topping candle. We had an OPEC meeting that would review possibly continuing with cuts. Could this drop if they agree to continue with the Oil cuts? Yes, it was due and even though OPEC agreed to continue with the Oil cuts, Oil sprung a leak. 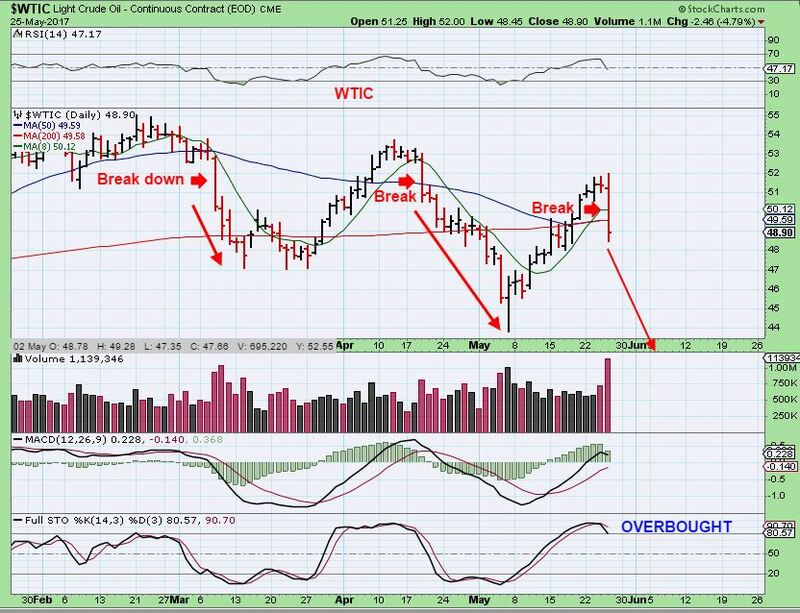 WTIC - One thing that I want you to notice is that often when OIL has that one big 3 or 4% slam day ( see red arrow) , it doesn't usually bounce like many other sectors do the following day. It may bounce intra-day, but often that OIL SPILL just continued to sell off day after day in the recent past. Oil is overbought and has plenty of room to run lower. Thursday DWT, DRIP, DUG, and ERY were all great trades from that DOJI top at the trend line. Wednesday had the release of the Fed Minutes in the afternoon, and that put a reversal into the Miners sell off. Thursday has the NATGAS inventory report and we also have the OPEC meeting that could Move OIL one way or the other. 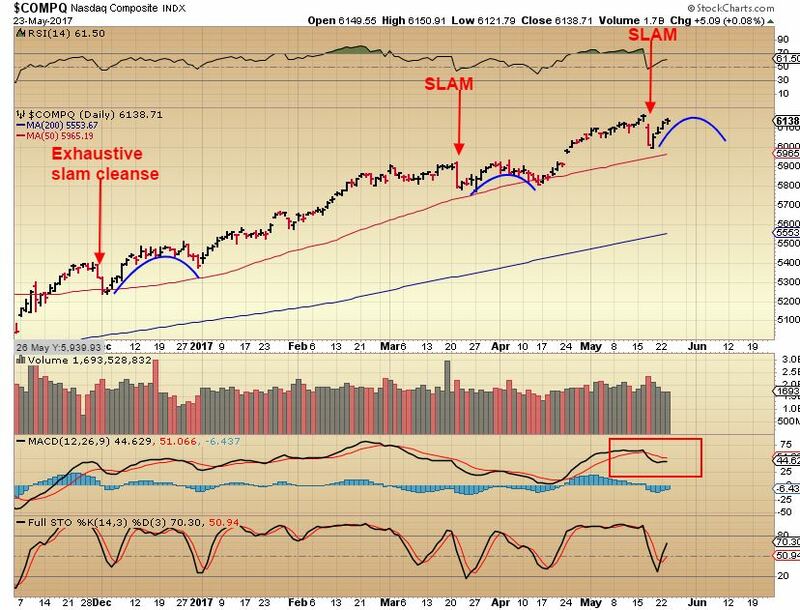 These things are not unexpected, so let's discuss some observations from the current charts. SPX - I was expecting this run to roll over after the recent slam, but it will take some time to see how this plays out. 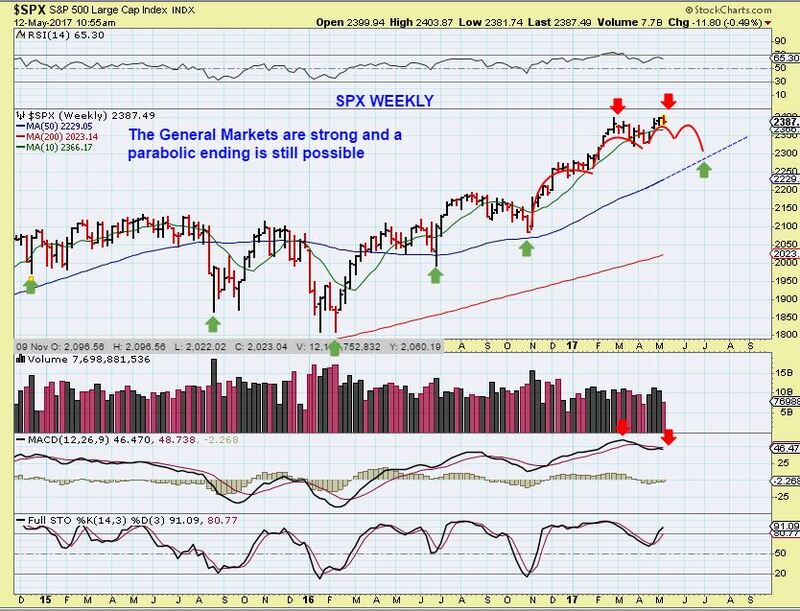 SPX - So far the General Markets continued higher. I have decided to release a large part of my last weekend report to the public, so that you can see what we at Chartfreak have been looking at. Enjoy. Have you ever heard someone say, "In the back of my mind, I was thinking about..." ? 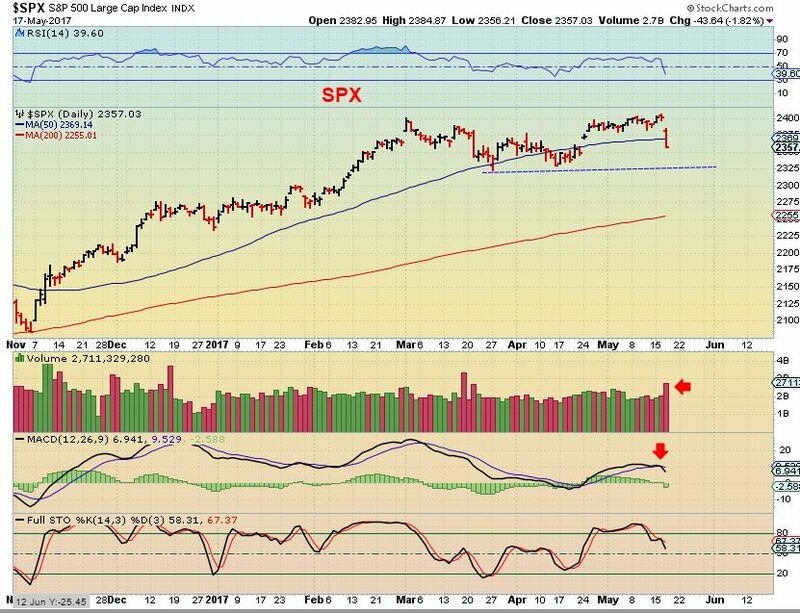 Well, in this weekend report I'm going to discuss my analysis ( technical / Cycles / etc) and the conclusions that are drawn from that, but I also wanted to mention a few things that have subconsciously been ' in the back of my mind ' in a few areas. SPX - Friday I pointed out that we could bounce here, but I still expect a bit more of a drop after a bounce. 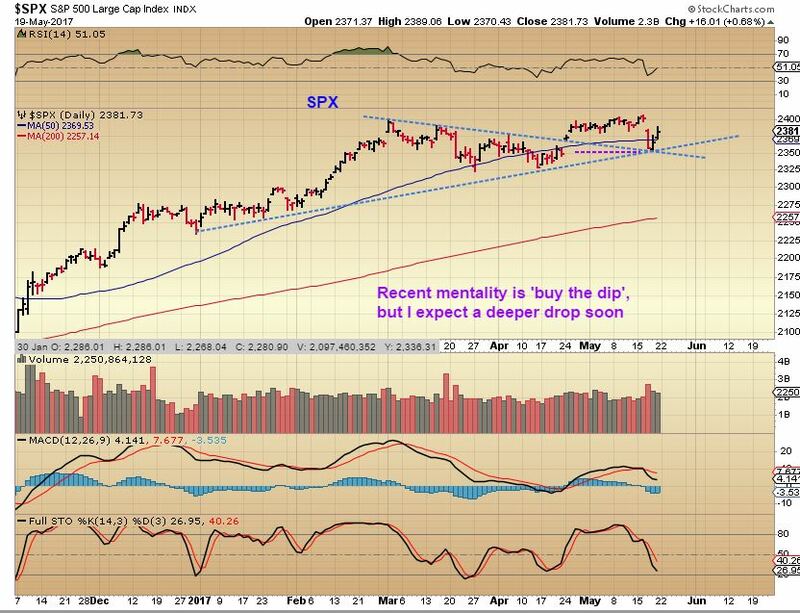 We did get the bounce at multiple support areas after filling a lower gap & 'buy the dip' has been working. Now we could fill the overhead gap. Let's do a little review and discuss a little about a drop that I am expecting. Have you ever heard someone say, "In the back of my mind, I was thinking about..." ? 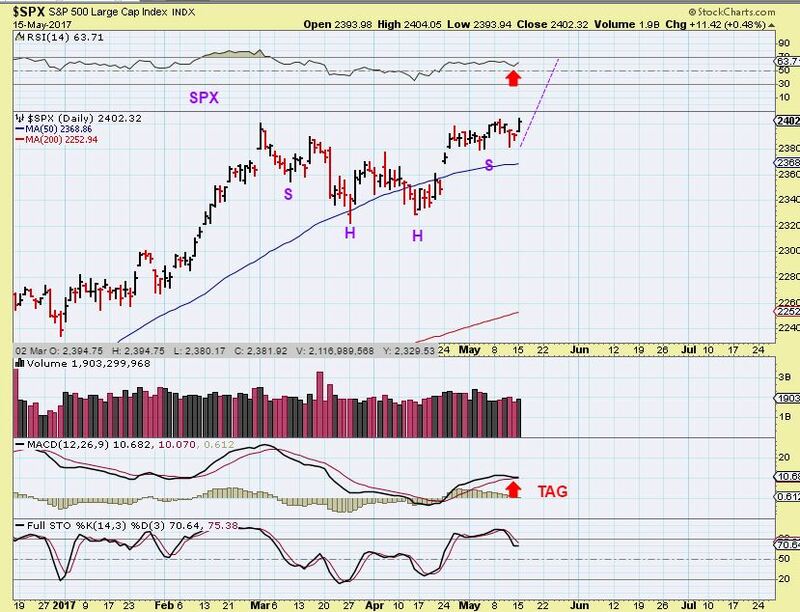 Well, in this weekend report I'm going to discuss my analysis ( technical / Cycles / etc) and the conclusions that are drawn from that, and also what has been subconsciously ' in the back of my mind ' in a few areas. 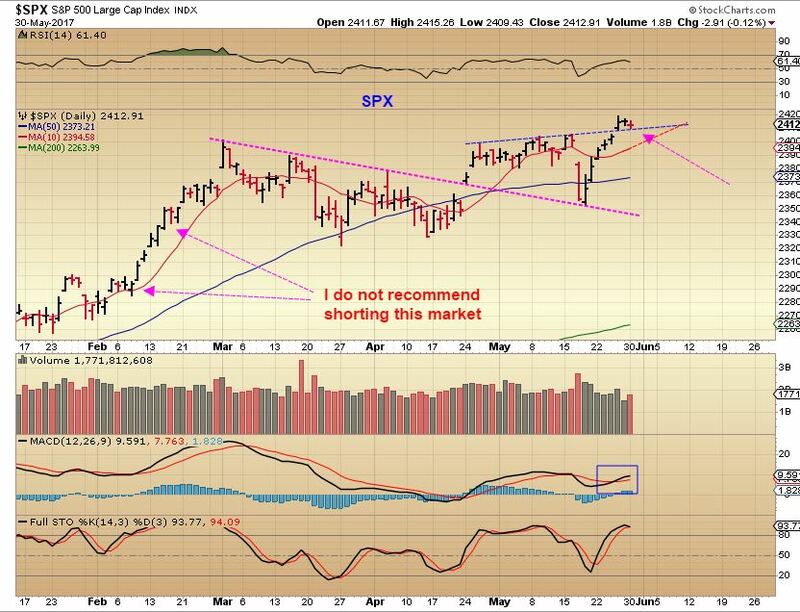 SPX - Friday I pointed out that we could bounce here, but I still expect a drop from my analysis. 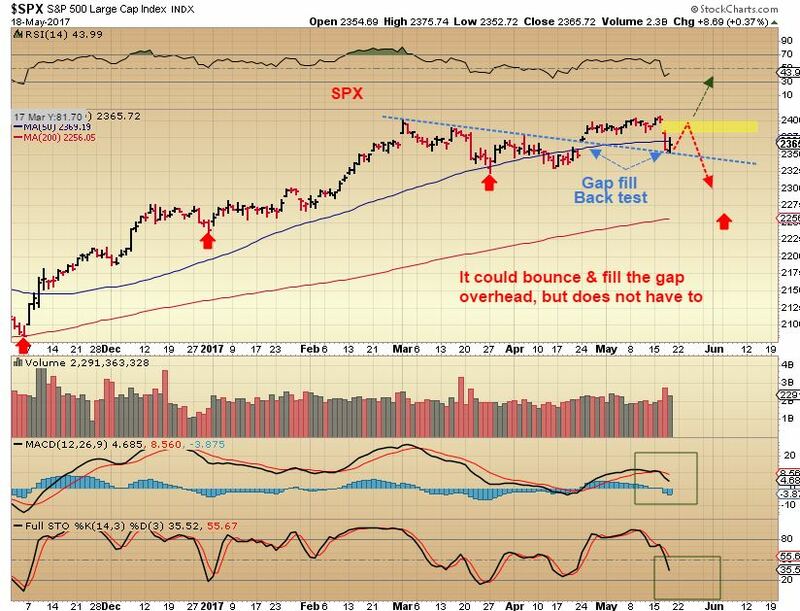 We did get the bounce at multiple support areas after filling a gap & 'buy the dip' has been working. 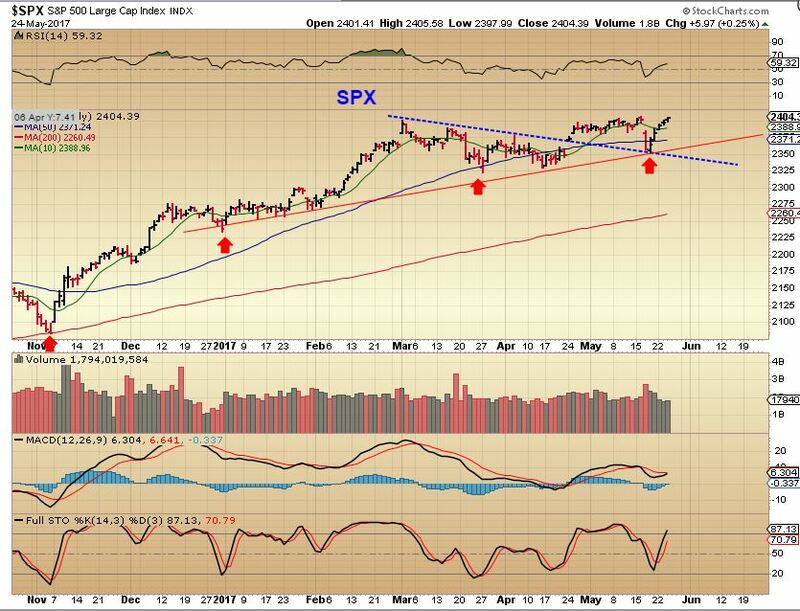 SPX - The SPX backtested the break out trend line and bounced after filling a gap. Please read the chart. 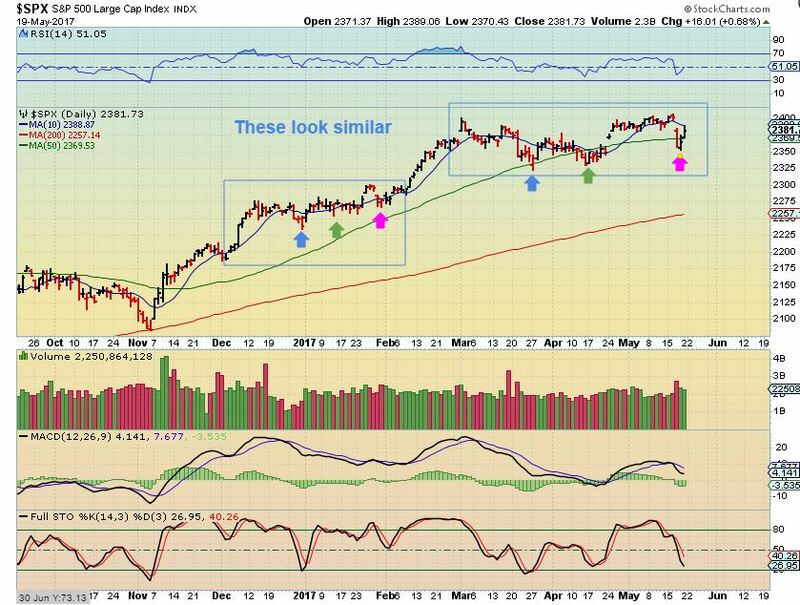 However, shorter term the markets have been very strong & BUY THE DIP mode kept kicking in, so I actually looked for 1 more push higher.